Most popular adhesive for bonding soft surfaces like foam, polyester wadding and fabrics!
) Its tack, high shear strength and open time make it an excellent choice for most permanent adhesive applications. The aerosol package offers a specially designed web spray pattern for an even, controlled distribution of the adhesive. 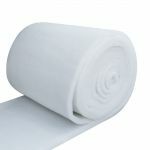 Bonding to soft substrates - great for foam to foam, foam to fabrics, wadding to foam, fabric to fabric etc. Can also be used for hard surfacses. PLEASE NOTE: Freight surcharges may apply - UN1950 (Hazardous Goods Classification).